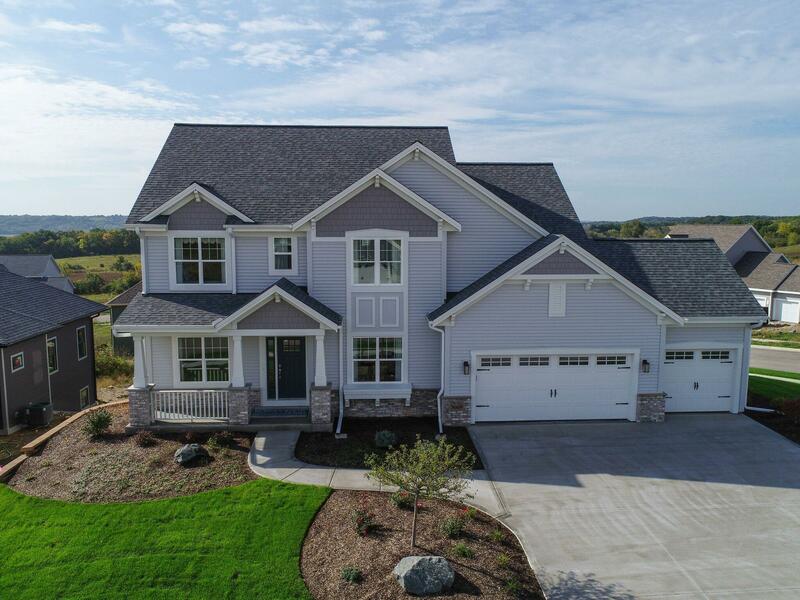 This professionally decorated builder model has one of the best views in Waukesha! This home also features southern exposure, finished basement with walkout and an Azek deck. Designed for functionality & entertaining. The deluxe Kitchen includes GE stainless steel appliances, an oversized island with Viatera quartz countertops & tile backsplash, Maple cabinets, under cabinet LED lighting. Other finishes include Gas FP w/ tile surround w/ returns & taller mantel, deluxe Master Bathroom with walk-in tiled shower w/corner seat, swing door & rainshower head, his & hers vanities w/granite countertops. This home is move-in ready with custom painting, windows treatments, irrigation & security system and much more!